The smoothest,creamiest soft serve around, offering all your favorites and always fresh! Chocolate,vanilla and twist, the best shakes in town! 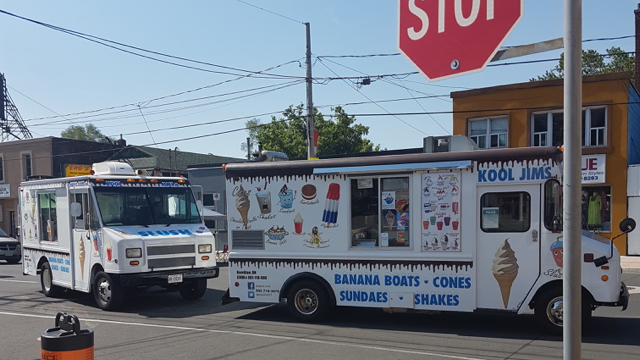 Sorry, we don't know when Kool Jim's Ice Cream Truck will be open next. We last saw them on October 8, 2018 at Vineland arts festival. Check back soon — as soon as they post their schedule it will show up on this page. Do you own Kool Jim's Ice Cream Truck? Sign in to post your schedule.